Cool look, love the tee! This long tee is so cool! This looks amazing on you! I really like the jeans as well, lovely combination! 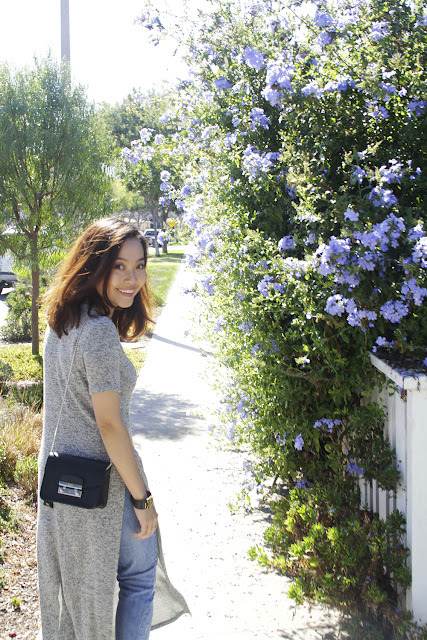 I like this long tee and you look so stylish! I thought that was a dress at first, then I saw the jeans and was blown away! What a great look! Such a cute look! I love how you styled it, and it would go well with tights, too. The dress reminds me of cheongsam, Chinese traditional dress too! You look absolutely lovely, I like that you paired it with denim for a chic look. What a cool outfit! I totally thought it was a dress. Love look! 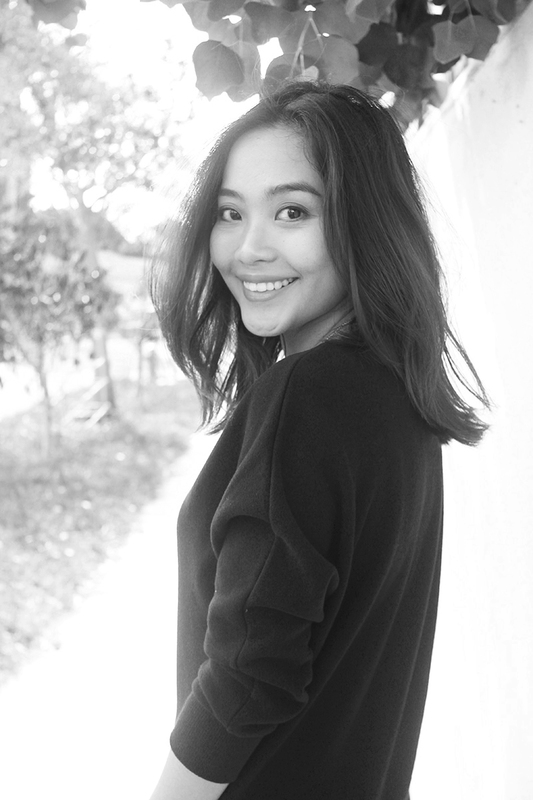 You look so pretty in this long tee. This look is comfortable and chic! Have a great day! cool shirt! love the sandals too! cute style, love your sandals! This looks so comfortable!! You styled it very well! You weare it very stylish. I like that look! Awesome look and style. Thanks for sharing. Cool outfit, I have a similar post coming up soon too! You're gorgeous! Gorgeous outfit, love those sandals! Haha I've tried on the exact same one today but didn't end up buying! Now I kind of regret it, you look fabulous in it! Such a beautiful outfit! I love the high slit tee! Love how you wore the top with jeans, very unique and chic! The sandals are spot on too! Love the styling, this grey shade suits you so good! This dress with a slit is wonderful and I really like how you styled it with jeans. You look phenomenally stylish and very beautiful. 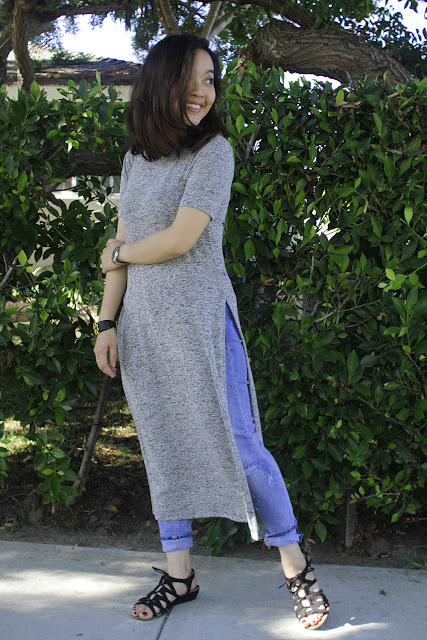 This high slit long tee looks great on your frame, very chic design! Loving the top and those sandals!! I think these tops are so cool, but I wasn't sure I could pull it off. Love how you styled it. How cute are you?!?!!? I love this long tee, super chic. 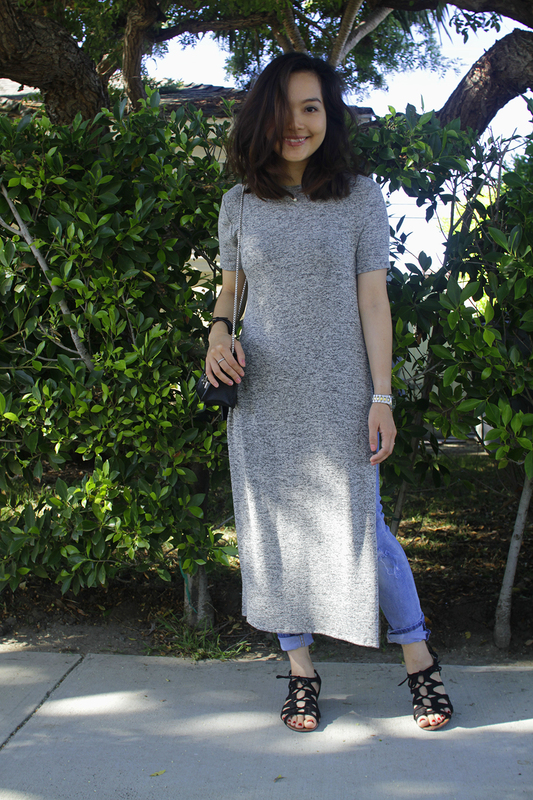 You look amazing in this high slit long line tee! I think we all should venture out of our fashion comfort zones now and then! It's actually how we get our style to evolve. Gorgeous loook hun! I love the layering, makes the outfit ten times more street style approved. 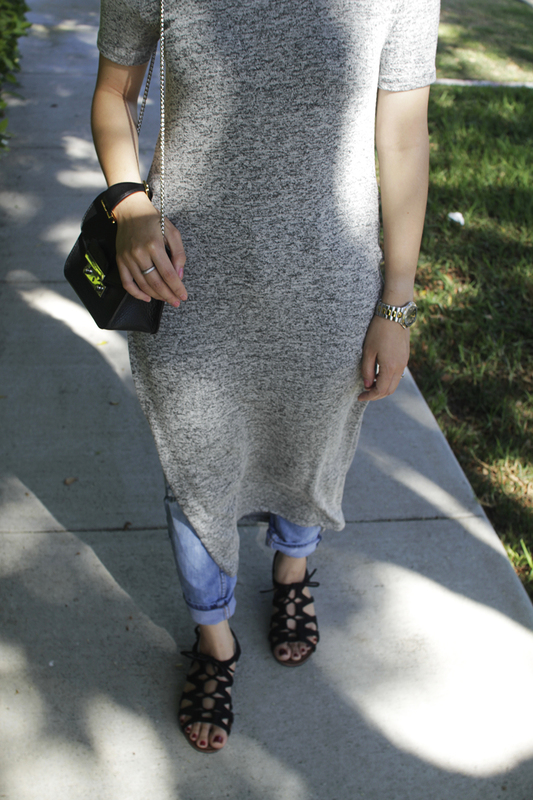 Love this high slit long line tee on you! You totally rock it! LOVE that top, it looks fab on you! 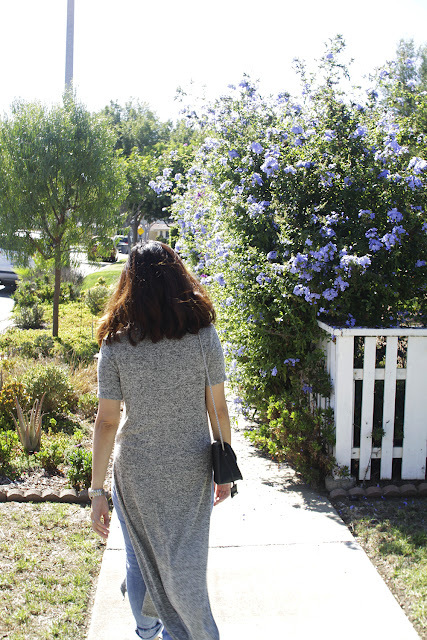 I really like this long maxi shirt over the jeans! Love those kind of longshirts! Love this tunic dress! So chic! Looks nice! Keep it up. Aww head to toe gorgeous!! Love your lace up shoes girl! You definitely rocking this look! I'm in love with your style here! I envy that dress! I love the tee! The high slit makes it super chic! Love your outfit :) So cute.